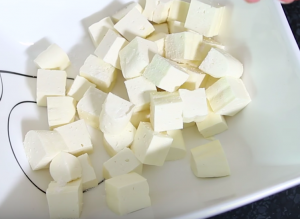 Squeaky Cheese Curds made so easily at Home. Join me in this video as I explain a little about the basics of making cheese at home with no special cheesemaking equipment. Pour your milk into a large pot and place on the stove. Place the salt into a small bowl and mix with some hot water, tip into the milk. 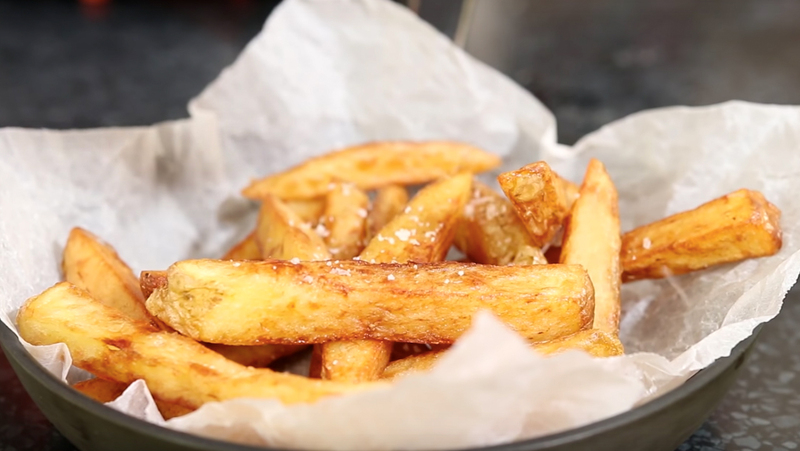 If you plan to add the buttermilk add now, mix through. Gently heat the milk to 33C / 90F, then cover and leave the milk to ‘ ripen’ for 30-40 minutes. Now you can add the rennet ( make sure your milk is still around 33C / 90F in temperature). Gently whisk the rennet into the milk, then cover and leave for another 40 minutes. Next you need to check to see if the curds have begun to form. Using a clean finger, insert it into the cheese and then lift it out at an angle, the curd should break cleanly. 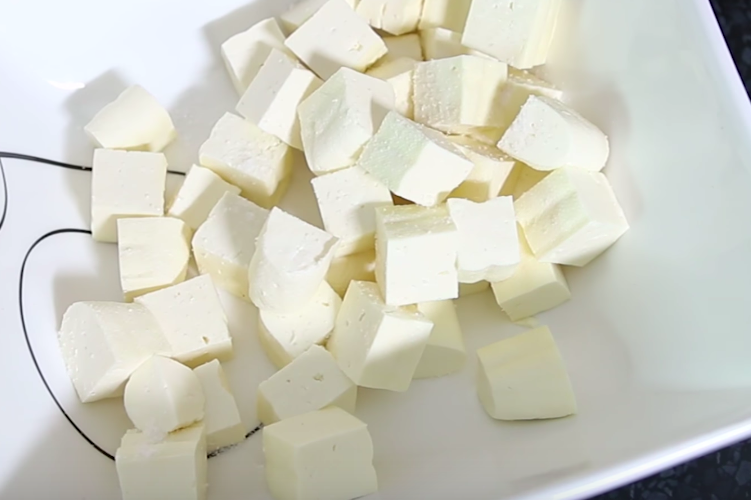 Take a thin knife or palette knife and start to cut the curd into 1 inch cubes. Cut across one way , then at 90′ cut across again and then I like to cut at an angle all the way across the pan and again turn 90″ and repeat. Using a slotted spoon gently stir the curds. Turn on the heat and slowly bring the temperature up to 37C / 100F, once it reaches that temperature turn the heat off. You want to stir you curds gently for 30 minutes maintaining the 37C /100F temperature. Take a colander and lay a piece of cheesecloth inside it. Place over a bowl if you want to keep the whey. Gently pour the curds and whey into the colander and allow the whey to drain off. Lift all the corners of the cheesecloth together and squeeze the whey from the curds. Place a cooling rack over a baking tray and lay the curds in the cloth onto the rack. Top with a cutting board and then place a heavy weight on top of the board. Leave the curds to be gently squeezed to remove the whey. Every 15 minutes or so I turn the curds over and continue to do this for 60-90 minutes. Once the curd has been drained of the whey you can now cut it into 1 inch cubes, place it in a bowl and sprinkle with some salt. Your Squeaky Cheese Curds are now ready to be enjoyed.